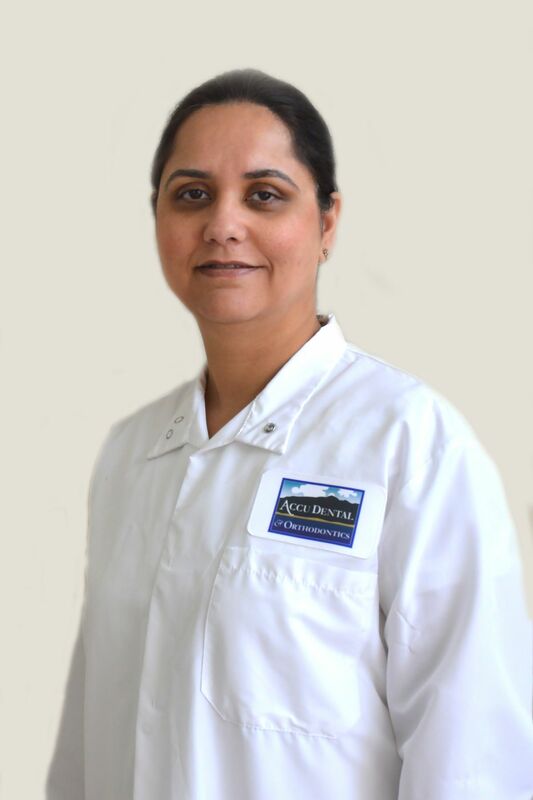 After working for over 10 years in few of the Bay Area offices I started working in ACCU Dental’s Gilroy practice. I received my dental license from California Board in 2003. I am fortunate to work in a variety of environments nonprofit, large corporate chains and private practices. I enjoy providing outstanding dental care to all age groups including children in a comfortable caring environment with emphasis on preventive care and cosmetic dentistry. I firmly believe in educating you to become partners in their your own dental health care in order to make informed decisions. In addition I like to make you aware about the overall health implications connected with your dental health. I will make every effort to reduce dental anxiety if any. In my spare time I like to do oil painting, gardening, yoga, meditation, reading and listen to music.